Did someone you love suffer elder abuse or neglect at Twin Oaks Care & Rehabilitation Center? Our lawyers can help. 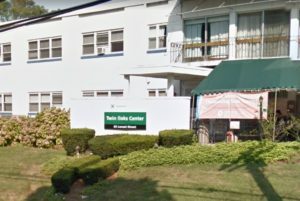 Twin Oaks Care & Rehabilitation Center is a for profit, 101-bed Medicare/Medicaid certified skilled nursing facility that provides services to the residents of Danvers, Peabody, Middleton, Beverly, Salem, Lynnfield, North Reading, Marblehead, Swampscott, Lynn, Wakefield, Reading, Saugus, Ipswich, Melrose, and the other towns in and surrounding Essex County, Massachusetts. As of 2018, Twin Oaks Care & Rehabilitation Center in Danvers, Massachusetts received a rating of 2 out of 5 stars. The Federal Government has not fined Twin Oaks Care & Rehabilitation Center in the last 3 years. Based on observation and interview, the Facility staff failed to maintain privacy of medical records for 1 Resident (#1) out of a total sample of 16 residents during a medication pass. On 4/21/17 at 11:20 A.M., Nurse #2 was observed during the medication pass. After Nurse #2 completed obtaining the medications for Resident #1, Nurse #2 walked away from the medication cart, leaving the Medication Administration Record [REDACTED]. The medication cart was unattended and in the hallway where residents, staff and visitors were walking about in the hallway. Nurse #2 was interviewed immediately after the medication pass to Resident #1. Nurse #2 looked at the open MAR indicated [REDACTED]. **NOTE- TERMS IN BRACKETS HAVE BEEN EDITED TO PROTECT CONFIDENTIALITY** Based on observations, record review and interview, the facility failed to ensure for 1 Resident (#9), out of a total sample of 16 Residents, that the resident was provided care in a dignified manner that recognized the Resident’s individualized needs. Resident #9 was admitted to the facility in 8/2008. His/Her medical [DIAGNOSES REDACTED]. Review of the comprehensive Minimum Data Set ((MDS) dated [DATE], indicated under the section titled: preferences for customary routine and activities, the question of while you are in the facility How important is it to choose what clothes to wear? Resident #9’s response was entered as Very Important. Review of the most recent quarterly MDS, dated [DATE] indicated that the staff assessment of mental status indicated that Resident #9’s had severe cognitive impairment. In addition, the MDS indicated that Resident #9 required extensive assistance of two staff for transfers, extensive assist of one staff for dressing and was totally dependent on 1 for bathing. On 4/20/17 at 4:17 P.M., Resident #9 was observed sitting in a Broda chair (a chair that reclines) in the sitting room. The front of His/Her shirt had food particles on his/her clothing. On 4/24/17 at 9:12 A.M., Resident #9 was observed sitting in the Broda chair in the sitting room, he /she was wearing two different socks, one pink and the other green. On 4/26/17 at 9:27 A.M., Resident #9 was observed sitting in the Broda chair in the sitting room, he/she was wearing two different socks, one orange and the other pink. On 4/26/17 at 12:38 P/M., Resident #9 was observed sitting in the Broda chair attempting to feed him/herself. Although a clothing cover was in use, the Resident was spilling his/her food onto his/her lap. On 4/26/17 at 1:30 P.M., a family member of Resident #9 was interviewed. The family member said that the Resident’s lifestyle was to be well dressed and meticulous about his/her appearance. During interview with Nurse #1 on 4/26/17 at 2:12 P.M., the Nurse was asked what he knew about Resident #9. Nurse #1 said that the Resident is a person who was very aware of his/her appearance and may even comment on other people’s appearances. On 4/27/17 at 11:00 A.M., the observations of Resident #9 wearing two different colored socks was shared with the Unit Manager ( UM#1). The Unit Manager apologized and said that the Resident would not have wanted to be wearing two different socks. Failed to provide clean bed and bath linens that are in good condition. Based on observation, record review and staff interview the facility failed to identify that the dressing gowns (a personal body cover also used for pajamas) used by Residents were threadbare and failed to supply gowns that were in good condition. On 4/20/17 during the initial tour of the third floor, 1 non-sample Resident (NS#1) was observed lying in bed wearing a threadbare dressing gown. On 4/26/17 at 2:23 P.M., during the laundry room inspection, it was observed that the dressing gowns worn by the residents were folded and available for use. It was observed that the some of the gowns were faded and after further inspection with the laundry supervisor present, it was observed that four of the gowns were threadbare and one had holes in the fabric. Review of the linen packing slips dated 2/10/17, 3/6/17 and 3/30/17 supplied by the Administrator failed to indicate that any new dressing gowns were ordered in the past three previous months. **NOTE- TERMS IN BRACKETS HAVE BEEN EDITED TO PROTECT CONFIDENTIALITY** Based on observation, record review and interview the facility failed to provide services in accordance with the medical plan of care for 1 Resident ( #13) in a total sample of 16 residents. Resident #13 was admitted to the facility in 7/2015 with [DIAGNOSES REDACTED]. Review of the most recent Minimum Data Set Assessment (MDS) with the reference date of 2/27/17 indicated that Resident #13 had a 13 out of 15 score on the brief interview for mental status (BIMS), which indicated Resident # 13 was cognitively intact. In addition, the MDS indicated Resident #13 was independent with bathing and dressing, required set up for eating and required a mechanically altered diet. Review of the 4/2017 medical orders indicated that Resident #13’s diet order was Dysphagia Advanced texture, thick liquids- Nectar like consistency. Review of the care plans in place failed to indicate a care plan for dysphagia was present. During interview with the facility’s regional nurse on 4/27/17 at 1:10 P.M., he said that the oral health and nutrition care plans had interventions to support Resident #13’s dysphagia diagnosis. Review of the nutritional risk care plan, dated as revised on 4/5/17, indicated the following intervention: Provide diet as ordered per Medical Administration record (MAR) and Supervise/cue/assist as needed with meals. Review of the oral health/dental care risk care plan, dated as revised on 6/29/16, indicated the following intervention, dated 2/16/17, diet down graded to dysphagia advanced and nectar thick liquid. Review of the Speech Therapy Discharge summary document, dated 3/3/17, indicated that Resident #13 had skilled speech therapy services from 12/21/16 through 3/3/17. The record indicated that Resident #13 had a baseline of extremely fast intake rate, large and impulsive bites. Reduced solid breakdown placing patient as risk for choking with solids. Question of downgrade to advanced solids (ground meats) to reduce the risk of aspiration/distress. The summary of care portion on the speech therapy discharge document indicated the following Patient progress and response to treatment: patient is benefiting from current diet of dysphagia advanced solids and nectar thick liquids. Patient able to use decreased rate, small bites/sips, alternating solids and liquids, and up right positioning with minimal to moderate verbal cues. Patient to benefit from continuing on this diet with encouragement for use of compensatory strategies. Patient discharged from skilled speech therapy services. Resident #13 was observed during the lunch meal served on 4/27/17 and the following was observed: At 12:44 P. M., Resident #13 was presented his lunch tray. The tray consisted of orange juice, milk, coffee, tuna sandwich without crust, macaroni salad and pudding. The Resident was observed shoving large pieces of the sandwich into his/her mouth in a rapid manner. A nurse was sitting at the table assisting the other Resident. At 12:47 P.M., Resident #13 was offered a cloth napkin by the regional nurse, the Resident refused and continued eating. He/she was observed eating the macaroni salad quickly with large forkfuls, he/she moved on to the pudding which was taken in large spoonfuls, he/she then drank the thickened coffee in large gulps. At no time during the observation did the nurse at the table provide any cueing or encouragement to alternate solid and liquids. At 12:49 P. M., Resident #13 was greeted by a certified nursing assistant, (CNA) who said good job, while looking at the nearly empty plate of food. At this point Resident #13 got up and left the dining room, after only five minutes of consuming his/her meal. On 4/27/17 at 3:30 P.M., the observation made of Resident #13 was shared with the Regional nurse and administrator. The regional nurse said he had been in the dining room and offered the Resident a napkin. He said he thought the nurse at the table provided the supervision. **NOTE- TERMS IN BRACKETS HAVE BEEN EDITED TO PROTECT CONFIDENTIALITY** Based on observations, record review and inteviews, the facility staff failed to ensure that food served to 1 Resident (#7) was palatable and attractive in a total sample of 16 residents. Resident #7 was admitted to the facility 9/2008 with [DIAGNOSES REDACTED]. Review of the Minimum Data Set Assessment ((MDS) dated [DATE] indicated that Resident #7 had a severe cognitive impairment based on staff assessment of mental status, required extensive assistance of 1 staff person for dressing, was dependent on one staff person for bathing and required extensive assistance of one staff for eating. Review of the medical orders dated 4/2017 indicated that Resident #7 had a diet order for Regular/Liberalized diet, dysphagia puree texture, thin liquids. During observation of the lunch meal service, on 4/24/17, at 12:11 P.M., Resident #7 was observed with a lunch which consisted of three mounds of puree food on a plate, all of which were a variation of the color yellow, the pureed dessert in a bowl was also yellow in color. Review of the menu provided to the survey team on 4/20/17 indicated that the lunch served for 4/24/17 was grilled cheese sandwich, ranch potatoes wedges, tomato soup, and peanut butter bar for dessert. On 4/26/17, the surveyor requested a test tray to be delivered to the second floor unit. The surveyor observed the food truck leave the kitchen at 12:37 P.M. It was requested that the test tray be brought out of the food truck last. Staff was observed delivering the trays to the Residents seated in the second floor dining room. At 12:50 P.M., the test tray was delivered. The Food Service Director (FSD) and Regional Float Food Service Director were present. The FSD used the facility’s thermometer to take the temperatures of the food. The temperature of the pureed chicken vegetable soup registered at 140 degrees Fahrenheit, the soup was appropriate in color and was hot to taste but lacked in flavor. The FSD said the flavor could have been effected by the thickener that was used to make it. The tuna fish was tan in color, served in a mound which lacked attractiveness in both color and shape, the temperature was registered of 48 degrees Fahrenheit, the taste was cool and tasted distinctively like tuna fish. The puree bread was tan in color, served in a mound that lacked attractiveness in both color and shape, the taste was cool and lacked any flavor. The pureed macaroni salad was light yellow in color and served in a mound, it lacked attractiveness in both color and shape, the temperature registered 50 degrees Fahrenheit, the taste was cool and tasted like straight mayonnaise with a slight tang. The test tray failed to have a dessert present. Both the FSD and Regional float Food Service Director said that appearance and taste of puree has been discussed many times, including last evening. The FSD said they used molds ( a method of making food into realistic food shapes) in the past but they did not work, as they dried out the food and did not hold temperature. The FSD said she tasted the food regularly and thought most of the time the the flavor was close if not exact. The FSD said there were 7 Residents who had puree food as their diet order. On 4/27/17 at 11:00 A.M., during interview with Unit Manager #1 about Resident #7 she said she personally has been assisting the Resident with his daily lunch meal and some evening meals as he/she has lost weight. She said she could not say for sure but the Resident’s dislike of the food could be the appearance. Despite the appropriate temperature, and the discussions that the facility staff had about the puree food they failed to serve palatable food to the residents who require puree. **NOTE- TERMS IN BRACKETS HAVE BEEN EDITED TO PROTECT CONFIDENTIALITY** Based on record review and interview the facility failed to provide a physical therapy evaluation following rehabilitation screen for physical therapy services, in a timely manner for 1 resident (#1) in a total sample of 16 residents. Resident #1 was admitted to the facility in 8/2015 with [DIAGNOSES REDACTED]. Review of the most recent quarterly Minimum Data Set (MDS) with a reference date of 4/10/17 indicated that Resident #1 was able to make him/herself understood and could understand others and had a Brief Interview for Mental Status (BIMS) score of 3/15 which indicated a severe cognitive impairment. In addition the MDS indicated that Resident #1 was independent with transfers, dressing and ambulation and had been receiving physical therapy with a start date of 2/23/17. Review of the medical record indicated in a nursing progress note, dated 2/16/17, that the nurse spoke with the head of rehabilitation regarding Resident #1’s knee, and his/her problems ambulating, they (rehabilitation) are going to evaluate and decide what would be best for him/her. A nursing progress note dated 2/21/17 indicated that nursing spoke to head of PT (physical therapy) and they will be evaluating him/her and set up a plan over the next two days, the right knee is painful and he/she has his/her leg bent when he/she ambulates. A nursing progress note, dated 2/23/17 indicated that the Resident has been up and ambulating safely on the unit. He/she is in a lot of pain today in his/her right leg and knee. The Resident was crying at one point. I (the nurse) spoke to therapy this morning and he told me that he/she would be evaluated for therapy this afternoon. During tour on the unit on 4/20/17 at 9:00 A.M., Resident #1 was observed. He/she was ambulating in his/her room holding a fabric knee brace, she asked if it could be put on. During interview on 4/24/17 at 3:37 P.M., the Director of Rehabilitation (DOR) said that a screen for rehabilitation services should be completed within 1-2 days from request and once the screen is completed, then an evaluation would be completed by the recommended therapy and this is done typically within 1-2 days. In the case of Resident #1 the DOR said that he did the screen for rehabilitation services for Resident #1 on 2/16/17 and determined the Resident would benefit from a physical therapy evaluation. The DOR said he did not have a physical therapist available to provide the evaluation and did not have physical therapy coverage on 2/18/17 and 2/19/17 (the weekend) and the physical therapist that covers the facility was off on 2/20/17 and 2/21/17. He said he was not able to find coverage through the facility’s contracted rehabilitation provider. The DOR said it did take a long time before the evaluation was provided. Based on observations and staff interviews, the facility staff failed to follow proper infection control practices during a medication pass with 1 Non-Sampled Resident (NS#1), to prevent infections in a total of 16 sampled residents and 1 Non-Sampled Resident. During observation of the medication pass on 4/20/17 at 4:15 P.M. Nurse #2 was administering eye drops to Non-Sampled Resident #1. Nurse #2 did not perform hand hygiene first. Nurse #2 was observed placing one drop in each eye and using one tissue for both eyes to dry some of the liquid which was on the Resident’s cheeks. After administering the eye drops, Nurse #2 let the Resident keep the tissue to continue wiping her eyes. Following the administration of the eye drops, the Surveyor discussed the infection control breech of using the same tissue to dry both eyes. Nurse #2 acknowledged that she should have washed her hands and used one tissue for each eye to avoid cross contamination with any organisms between the two eyes. **NOTE- TERMS IN BRACKETS HAVE BEEN EDITED TO PROTECT CONFIDENTIALITY** Based on observation, record review and interview the facility failed to ensure an accurate medical record for 2 Residents (#6 and #15) in a total sample of 16 Residents. On 4/27/17 at 11:00 A.M., during interview with the Unit Manager she said the MAR included the overnight hours as Resident #6 can be awake at night. She said it was the Certified Nursing Assistant (CNA) that remove the lap tray and the nurses should ensure that it is being done and documented on the MAR. She said the MAR should not have the empty spaces present. 2. Resident #15 was admitted to the Facility in 2/2017 with [DIAGNOSES REDACTED]. Review of the care plan and the Admission Minimum Data Set ((MDS) dated [DATE] indicated that Resident #15 had a Brief Interview of Mental Status (BIMS) exam of 15/15 (indicating cognitively intact), was independent for activities of daily living and required no assistance for hygiene and bathing. Review of the Admission MDS section on resident preferences(F0800), what was very important to residents, indicated the entire section was not completed. This section included the type of bath the resident preferred, bed bath or shower, and the box was blank that indicated the Resident’s preference for bathing. Review of the Discharge minimum Data Set ((MDS) dated [DATE] indicated that Resident #15 had declined to have limited assistance for personal hygiene and extensive assistance for bathing. Review of the Facility policy titled Activities of Daily Living (ADL) dated 3/15/16 indicated that Patient’s ADLs are evaluated by a licensed nurse and members of the interdisciplinary team upon admission and with significant change. ADL care is documented every shift by the nursing assistant on an ADL flow record or in Point Click Care. The ADL flow record will be reviewed at morning meetings. Corrections to the ADL flow Record will be documented on the ADL correction form. The purpose of the policy was to maintain the patient’s functional level and dignity. Review of the ADL record on which the Certified Nurse Aides documented indicated that the type of bathing was coded as ‘S’ for shower, ‘T’ for tub bath and ‘B’ for bed bath. The following ten dates were left blank, indicating no bathing occurred: (MONTH) 3-9,12, and 20th. The Resident’s record was reviewed as a closed record, so no observations of the Resident’s appearance or hygiene, or interview regarding bathing practices and preferences, were possible. The Unit Manager acknowledged that the ADL record was not completed and that several days lacked any information regarding bathing of the Resident. The Certified Nurse Aide (CNA) was interviewed on 4/28/17 at 2:43 P.M. with the Administrator present. The CNA said that she recalled the Resident and the Resident was able to shower independently after items such as towels and soap were provided. The CNA reviewed the ADL sheet and noted that there were several blanks for type of bath and that documentation indicated the Resident received a bed bath on several days. The CNA reviewed the sheet and noted the many blank boxes and said that one can only assume that no bath occurred if nothing was in the box.